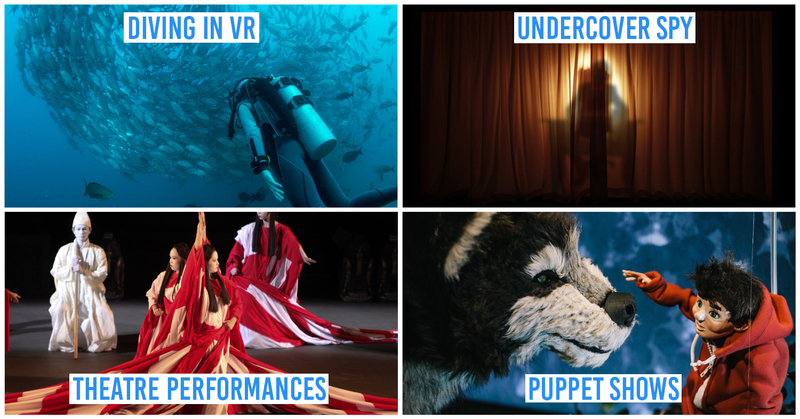 Picture this: you head out for lunch. But 5 steps out of the door, you sweat through your shirt, curse at the decisions you make in life, and hiss at the stifling heat before retreating to the comforts of your fan or a/c. Note: Availability of restaurant depends on user location. Head’s up MOS Burger fans, you can finally have their iconic Rice Burgers on delivery- and they are available exclusively on honestbee! 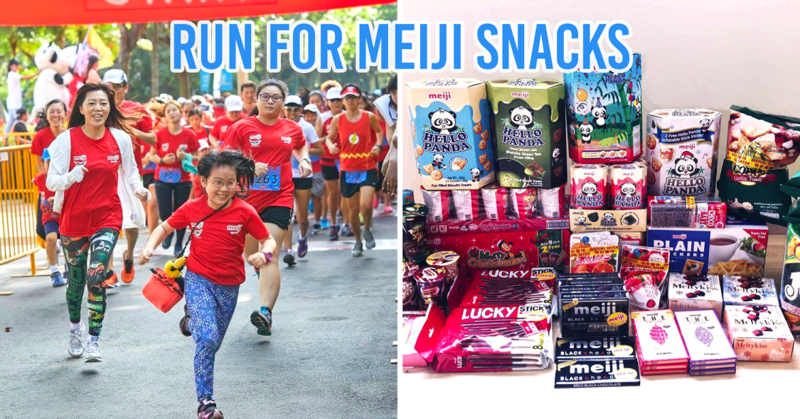 Our favourites here were the Ebi Rice Burger which stayed surprisingly stayed intact even after the delivery process and the Iced Milk Tea which came with separately packed creamer so that you can choose how milky you’d like your tea to be. The Season Sushi Platter comes with 9 different sushi flavours! If there’s one thing we dread facing more than the heat, it's the crowd; and high-in-demand Sushi Express is famous for their long queues snaking wayyyy beyond the storefront during meal times. 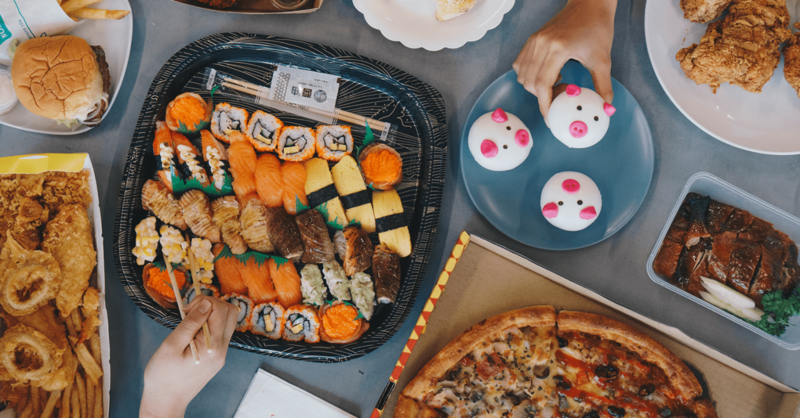 To quell your nigiri and maki needs without the fuss, honestbee has also teamed up exclusively with Sushi Express to get these lip-smackers all the way to your home. 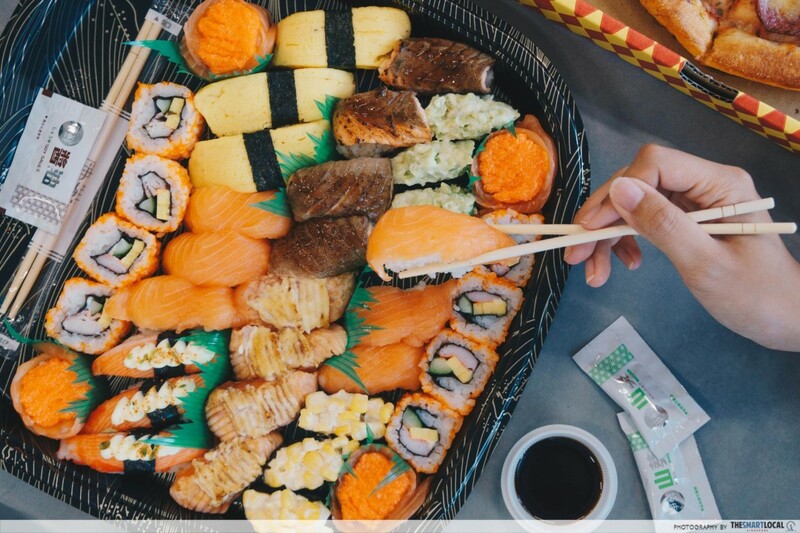 Order their Season Sushi Platter which consists of 38 pieces of sushi to share among your lunch kakis. 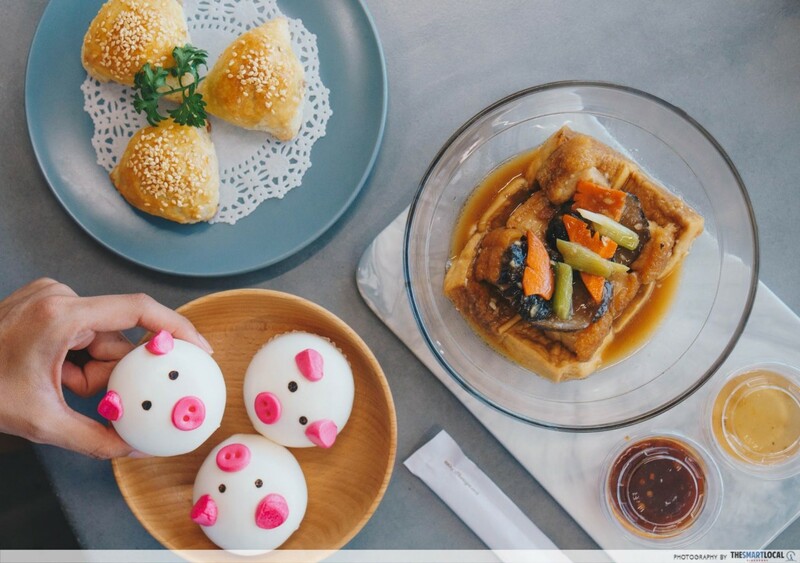 Regardless of whether you associate dim sums with tea time or late night suppers, one thing’s for sure: they’re always welcome, any time, any day. Canton Paradise has cute and tasty Cantonese food for you to feast your eyes and taste buds on. 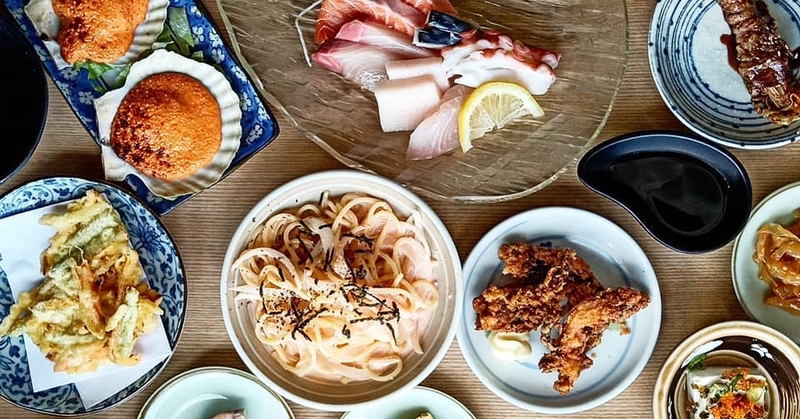 Their sister restaurants like Paradise Dynasty, Paradise Classic, Paradise Hotpot and LeNu are up on honestbee as well. 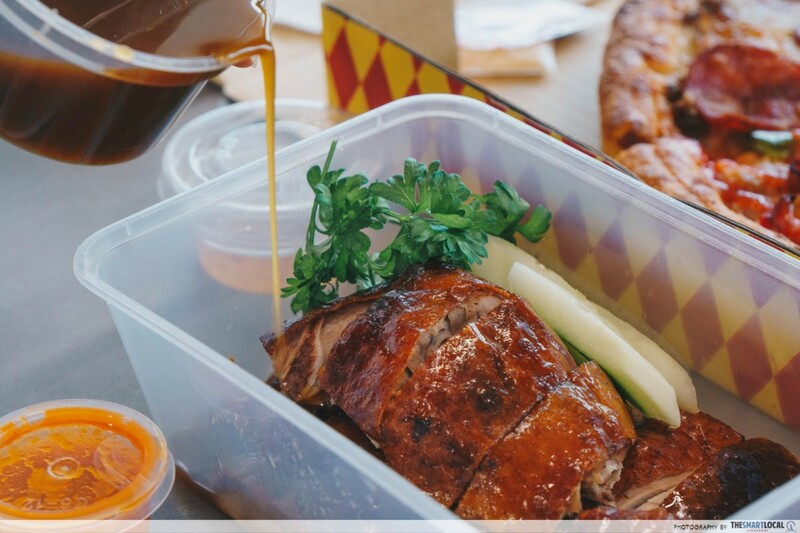 If the name Dian Xiao Er rings a bell, you’re probably thinking about their Signature Herbal Roast Duck. They always say, healthy food lacks flavor. But that certainly doesn't apply to this dish. With a savoury, slightly crisp skin and marinated tender meat, the roast duck can hold its own. But douse it in the separately packed mildly herbal sauce for a well-balanced dish. Chicken or fish? Why not both. 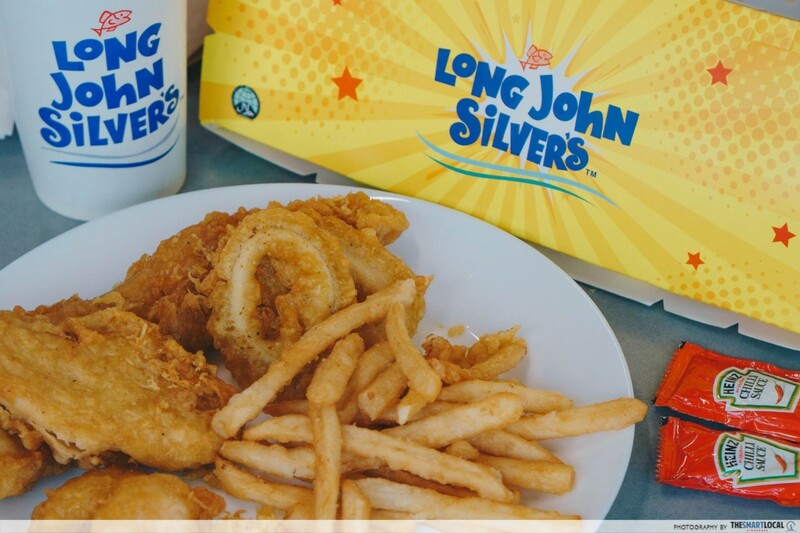 For a surf and turf combination, try Long John Silver’s Bigger Better Platter that comes with a giant piece of dory, chicken, calamari, shrimps, fries and handful of LJS’ delicious fried flour bits sprinkled all over. If you are craving for some crispy, deep fried goodness right about now, hit up Texas Chicken. 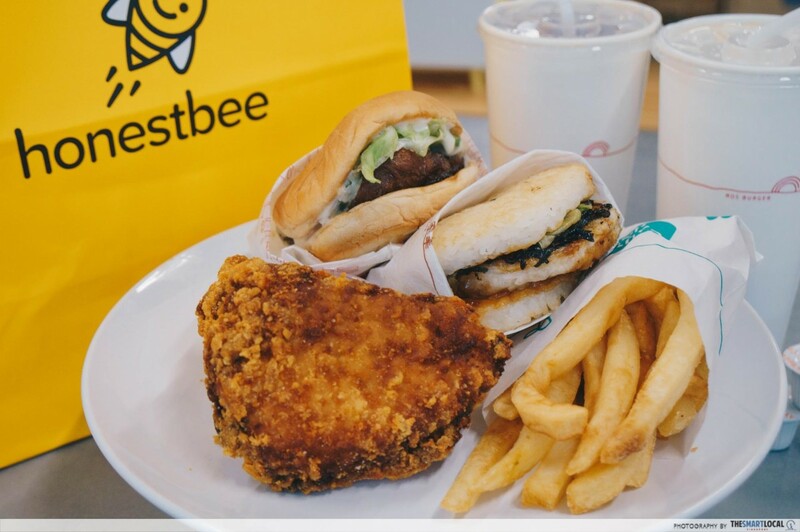 There’s a whole range of their menu items on honestbee - from chicken combos to burgers and then to family bundles. For a solo yolo fried chicken feast, we recommend indulging in the 3 piece Chicken Combo meal that comes with 3 juicy pieces of chicken, 1 regular side, 1 honey-butter biscuit and 1 regular drink. Do pineapples belong on pizza? The war never ends between #teampineapples and #teamhellno. But hey, we now have a solution to this problem. 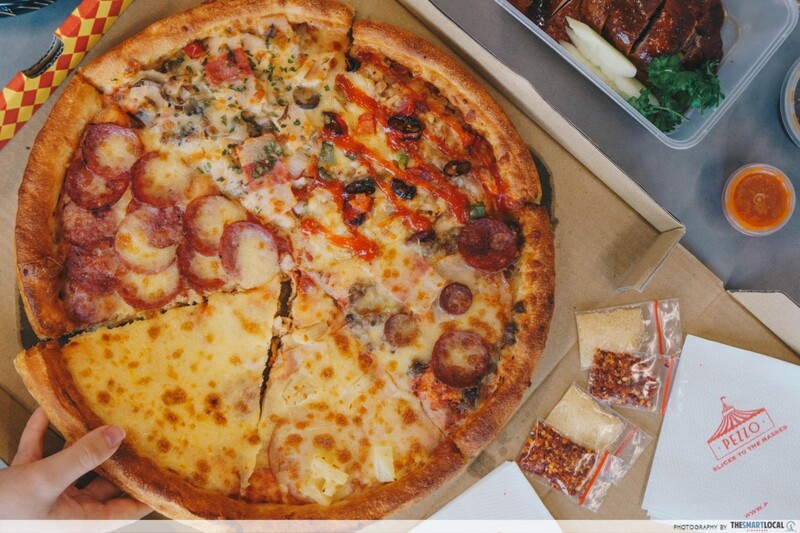 If you’re ordering pizzas for a bunch that can never agree, check out Pezzo’s Mix & Match Pizza where you can mix up to 6 different flavours from a list of 11. 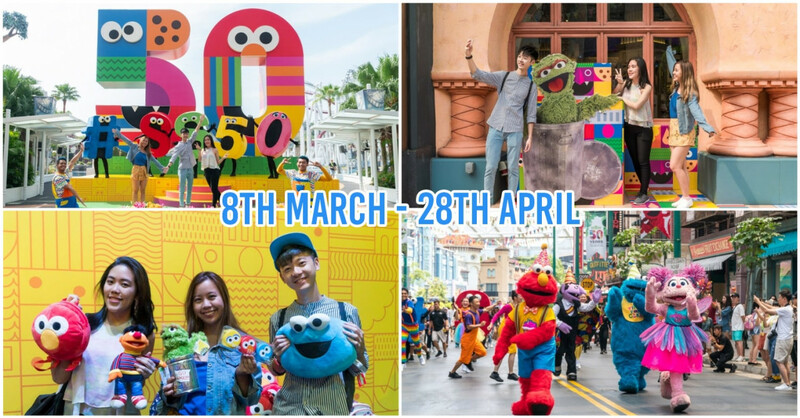 Flavours range from the classics, like Hola Hawaiian and Pepperoni Party, to their specials, like Trufflin’ Truffle Mushroom and Satay Chicken. Nasi Royale comes with the full works - crispy chicken wing, kuning fish, begedil (deep fried potato), ikan bilis and peanuts, cucumber and sambal chilli. While there are all sorts of fancy versions of Nasi Lemak-based dishes these days, it’s nice to tuck into a true-blue plate of this dish every once in awhile. 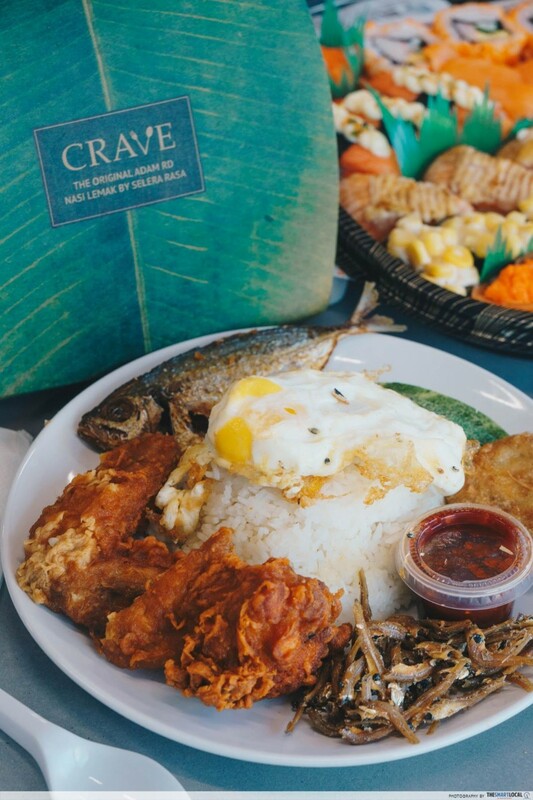 For a taste of some legit, unadulterated Nasi Lemak, check out Crave with the original Adam Road Nasi Lemak! While we all wish that the temperatures would drop perhaps a good 10 degrees, it likely wouldn't. 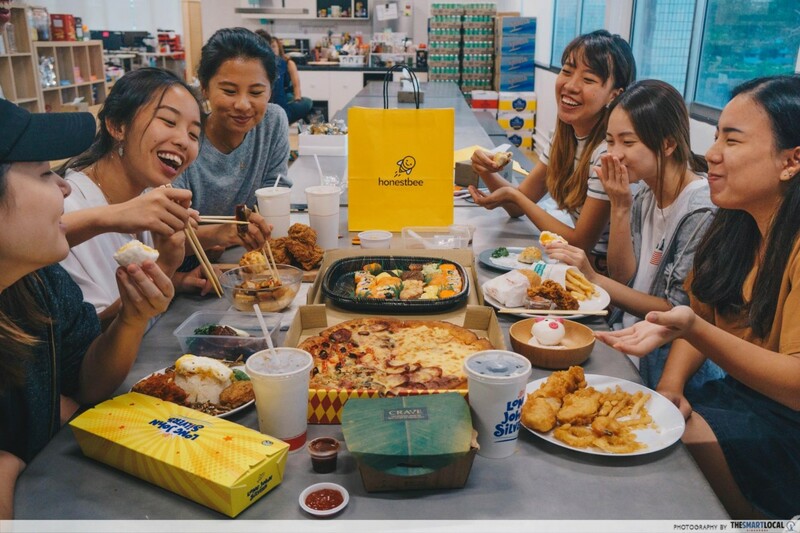 So chill indoors instead and get your delivery with honestbee and you’d be hangry no more. 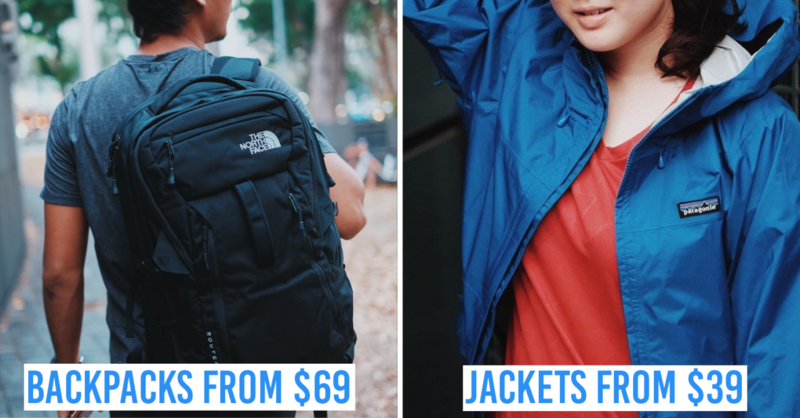 From now till 30th June, simply checkout with a minimum of $10 in your cart and your delivery fee will automatically be waived. 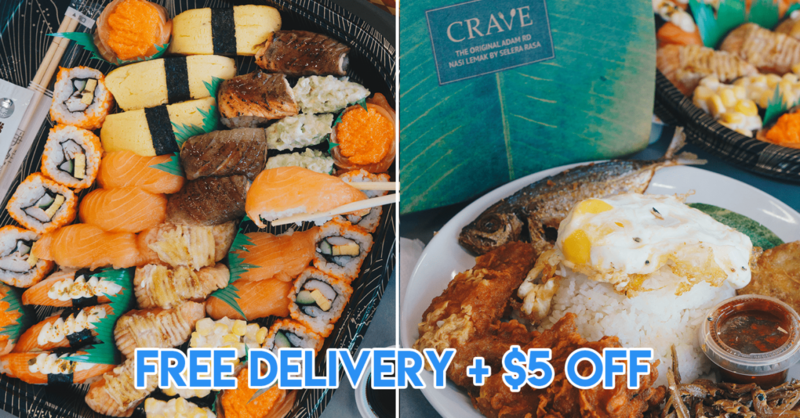 If you’ve never placed a food order on honestbee before, quote “TSL5” for $5 off your total bill. 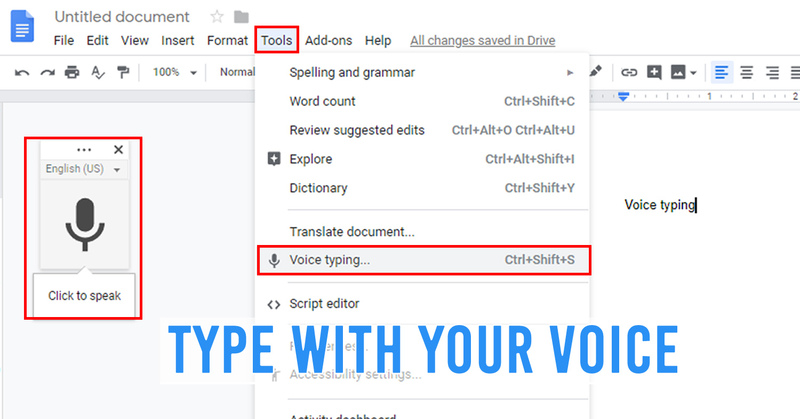 Existing users won’t be missing out either - enter “TSL2” before you hit check out for $2 off your total bill*! 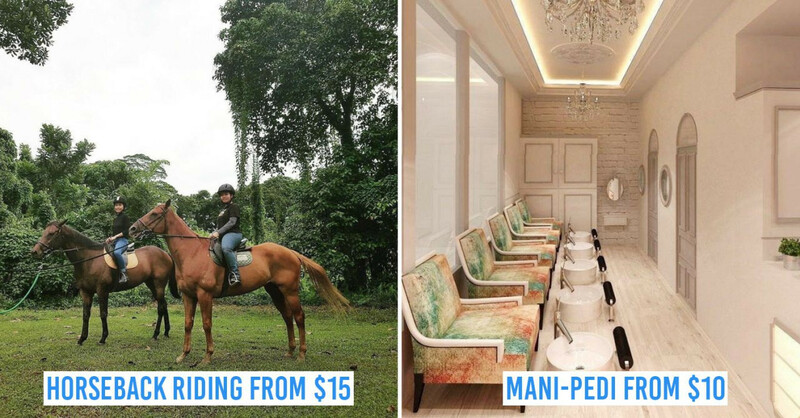 Promo codes are valid with a minimum spend of $10 from now till 30th June. 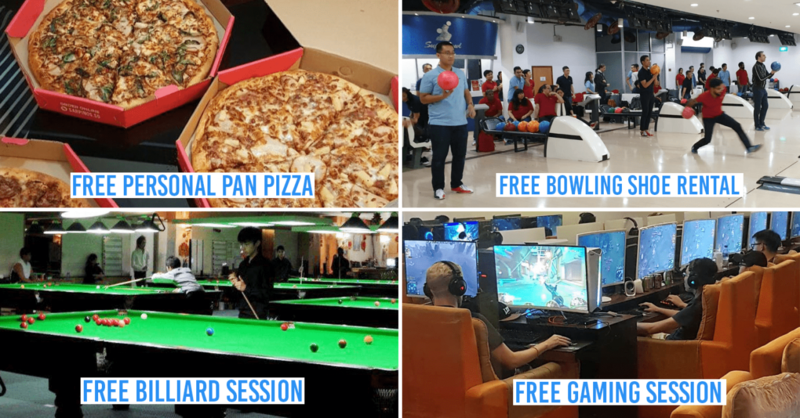 honestbee offers islandwide delivery for more than 1,200 restaurants in Singapore so you can unleash your inner couch potato all day long. 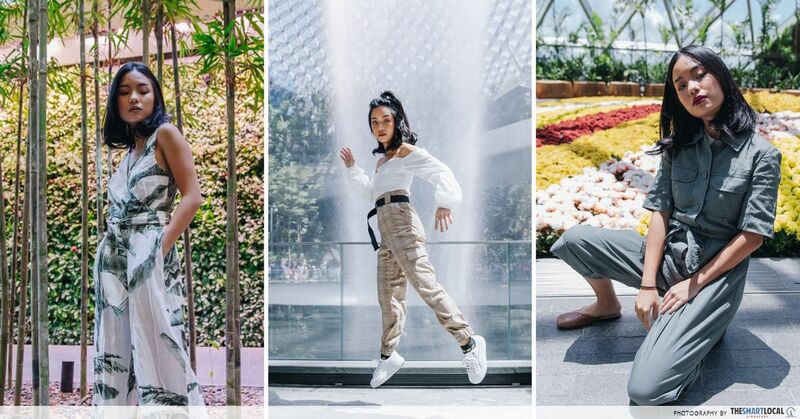 Heat or not, you’d actually never really have to leave your house because honestbee also does grocery and laundry services. 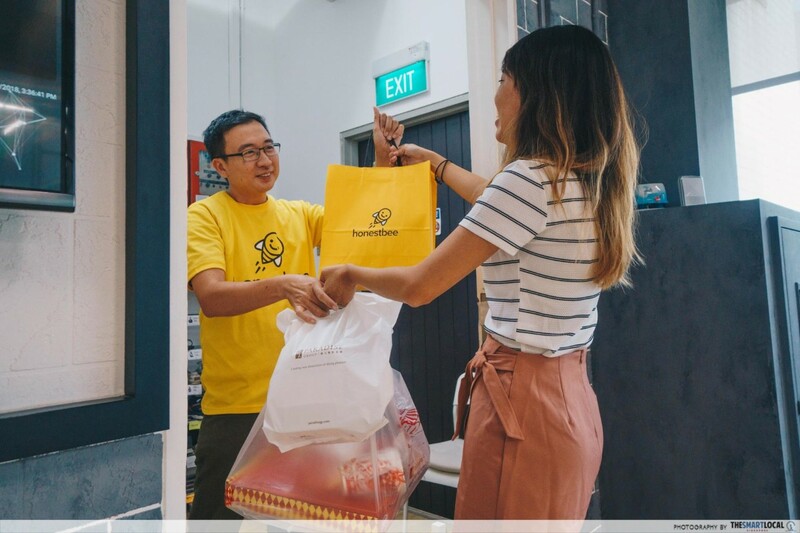 Find out more about honestbee here! 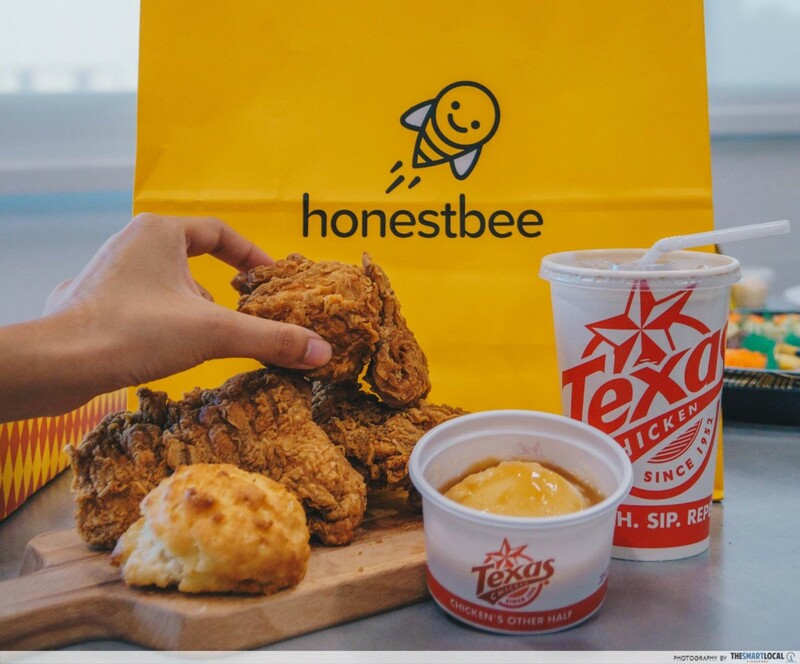 This post was brought to you by honestbee.